I think harmonic distortion measurements – maybe displaying the different orders – would be the best indicator. Better than optical indicators such as oscillograms lacking the necessary resolution . Matrix Petka, JaZZ and Dobrescu George like this. 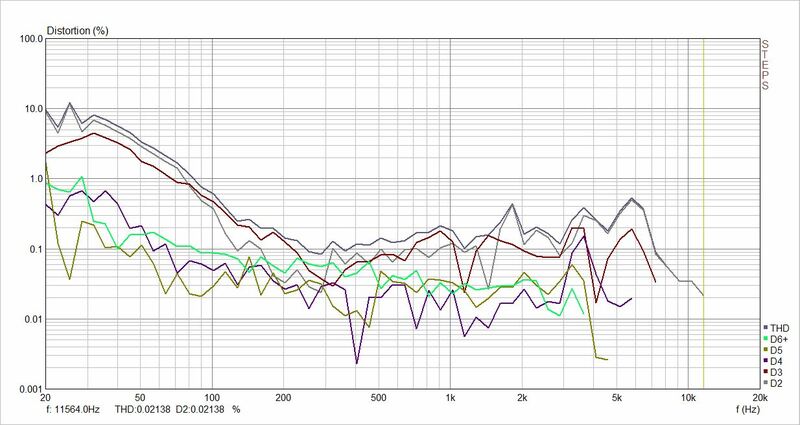 The THD rise in the lower frequencies looks a lot like the graphs I've seen for the AKG k812. Interesting stuff, thanks for sharing Heinz. Thanks, Heinz, I really appreciate your effort! 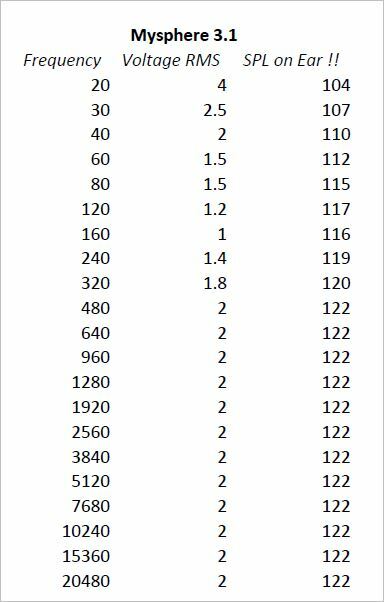 Since the percentages don't refer to the actual tone at the respective frequency (from what I get), but the average loudness level of the whole frequency response, the actual value for 35 Hz (e.g.) would be something like 27% total distortion, right? (Correct me if I'm wrong!) Or is it that the tone at 35 Hz is just ~87 dB instead of the average 90 dB? Dobrescu George and dm24 like this. The 60mW max is a value delivering ~96dBSPL on the ear already. We want to secure customers only. There is no technical- but legal reason behind. drwlf, ruhenheiM and Dobrescu George like this. I think the distortion figures look excellent! About Equalizing the Sub-Bass, I don think it would add any distortion, but since the distortion figures were at loud SPLs, I think that @hrklg01 was trying to say that adding more sub-bass at that high level, it could induce clipping, while at lower SPLs it shouldn't change the distortion figures. I might be wrong there. Have a look at Inner Fidelity's graphs! All of them confirm that harmonic distortion increases with membrane excursion, particularly in the low bass – which is quite logical, since there comes the moment when with every further increase of excursion mechanical resistance will grow disproportionally. 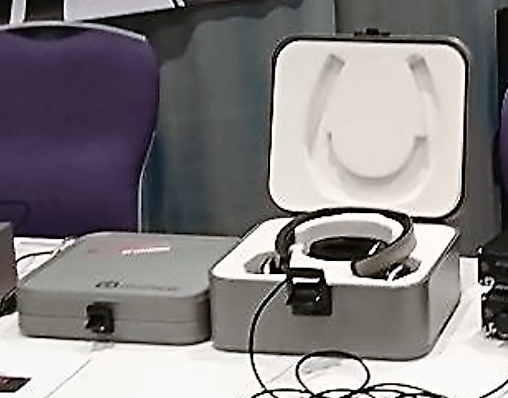 To use back open or even totally open (like Mysphere) headphones close to hard surfaces, the sound will be effected negatively by resonances heavily. When you use it close to a cushion of the bed or similar use, the mid and mid-high frequencies are still effected, but not that much due to the damping effect of the cushion material. Oh, I see what you meant about the measurement there! Basically you are right - this case is very robust as well. We think that's even more important for a transport case as for the storage case. Only parts are our of metal and enforce mainly the edges of this packing. I quite understand but it would be good to have some guide lines to know how much eq is admissible especially below 50Hz. Of course there will be the problem of translating SPL to amp out put (the easiest would be to measure output voltage). The distortion figures look excellent especially considering that the human ear is most sensitive to distortion at lower sound level (max 60-80dB). drwlf and Dobrescu George like this. ruhenheiM, james444, drwlf and 3 others like this.